When embarking on the challenge of the Climate Ride in 2015, I knew it would be a challenge but also fun. Turns out I overestimated the challenges, both physical and fundraising, and waaay underestimated how much fun the ride would be. For one thing, Team Sycamore was simply a great group of people from Bloomington and I made some awesome new friends as we did training rides weekly all summer. Collectively we raised about $35,000 for Sycamore Land Trust. 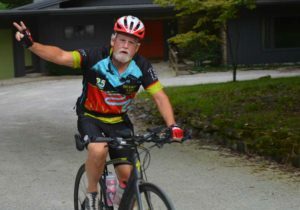 By the time the ride rolled around, my cycling stamina was easily up to the task. I was especially worried about the multi-day aspect: would I get progressively more tired and sore? Somehow, overnight recovery from cycling seems pretty complete. I didn’t hear any of the riders complain of fatigue, and all were ready to go each morning. The ride was fun. For one thing, I knew all the riders were environmentalists, and mostly activists in some group or other, so there was an initial commonality with all the strangers making conversation easy. 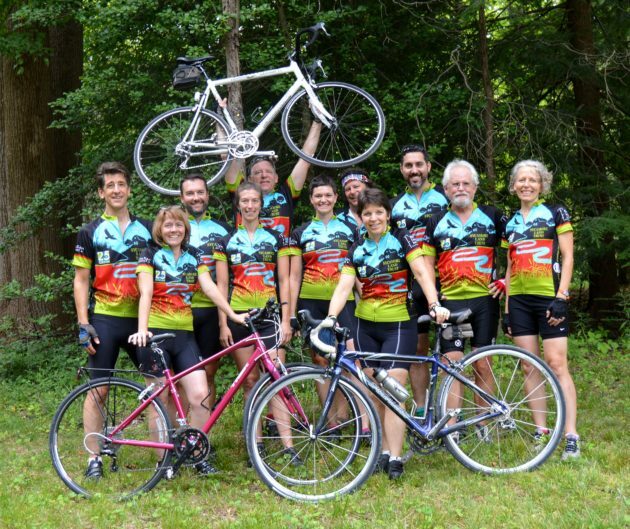 The Climate Ride organization handles all the details of logistics including lodging, meals, rest stops (with food) and detailed directions for each day’s ride. Bring your bike, a toothbrush and a few clothes and it all just happens. I found the fundraising easier than I expected. Probably this is because Sycamore is such a productive and solid organization that people readily want to support it. This year’s ride takes place September 15-18 in northern Michigan. Interested in joining the team or donating to the cause? Contact Abby Henkel, Communications Director, to learn more: abby@sycamorelandtrust.org.